It is an honor to be elected unanimously as Dallas County Republican Chair. We will be working tirelessly to elect conservative candidates committed to expanding opportunity, protecting liberty and life while defending democracy in Dallas County. 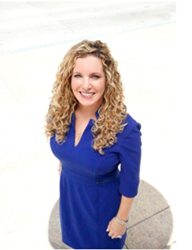 Missy Shorey, President & CEO of Shorey Public Relations was elected by unanimous vote to serve as Chair of the Dallas County Republican Party, demonstrating strong unity going into the 2018 mid-term election cycle. “It is an honor to be elected unanimously as Dallas County Republican Chair. We will be working tirelessly to elect conservative candidates committed to expanding opportunity, protecting liberty and life while defending democracy in Dallas County,” states newly elected Dallas Country Republican Chair Missy Shorey. Shorey’s role as chair is focused on growing the grassroots, having robust communications, fundraising for engagement initiatives while working to elect Republicans in 2018 and beyond. “I take on the role of chairman with vigor and humility. Republicans are excited to share our love for our Constitutional Rights and compassion for fellow citizens. We are here to energize voters with powerful opportunities that lift families and citizens of one of the greatest counties in the nation – Dallas County,” Shorey explains. “At the same time, we are putting the left on notice that their era of oppression of our rights and liberties in all parts of this county and all communities will no longer be accepted,” states Shorey. Missy Shorey is the proud owner of Shorey Public Relations. Since 2012, Missy has served as the Executive Director of Maggie’s List, a federal PAC dedicated to electing women to U.S. Congress who stand for fiscal conservatism, less government, more personal responsibility and strong national security. Prior to founding Shorey Public Relations in 2004, Missy held positions at leading public relations and public affairs agencies after serving as a staffer in the U.S. Senate and on congressional campaigns. As the daughter of a Coast Guard rescue pilot and the wife of a retired Air Force officer, through decades of multiple moves, Missy learned from a young age what it means to serve our nation and is committed to serving the communities of our county. She and her husband Marc, a retired Air Force Lt. Colonel, with their shelter dog, Holley Bear, have all found their “forever home” in Lake Highlands where Marc is a pilot for Southwest Airlines and Missy continues to manage Shorey Public Relations. They are committed to making a difference here in Dallas County. Website: http://www.missyshorey.com Pol. Adv. Paid for by Missy Shorey for Dallas County Republican Party Chair.